Wake up beautiful and ready to go with Lash Extensions. Enhance your natural look with darker, fuller, thicker, longer lashes. The safety of your eyes is our #1 priority. Our lash specialists are 100% certified and take the utmost care ensuring your comfort and desired result. Each application is customized to your liking, and your extensions are meticulously applied lash-by-lash using only the finest lash material and bonding processes available. The process is truly relaxing, simply lie down, close your eyes, listen to calming music in the background while our specialist attaches your lashes. It’s that easy. Brighten your face and open your eye area with an eyelash lift. Lifting and curling the lashes from the root creates a natural bright-eyed appearance and low maintenance. 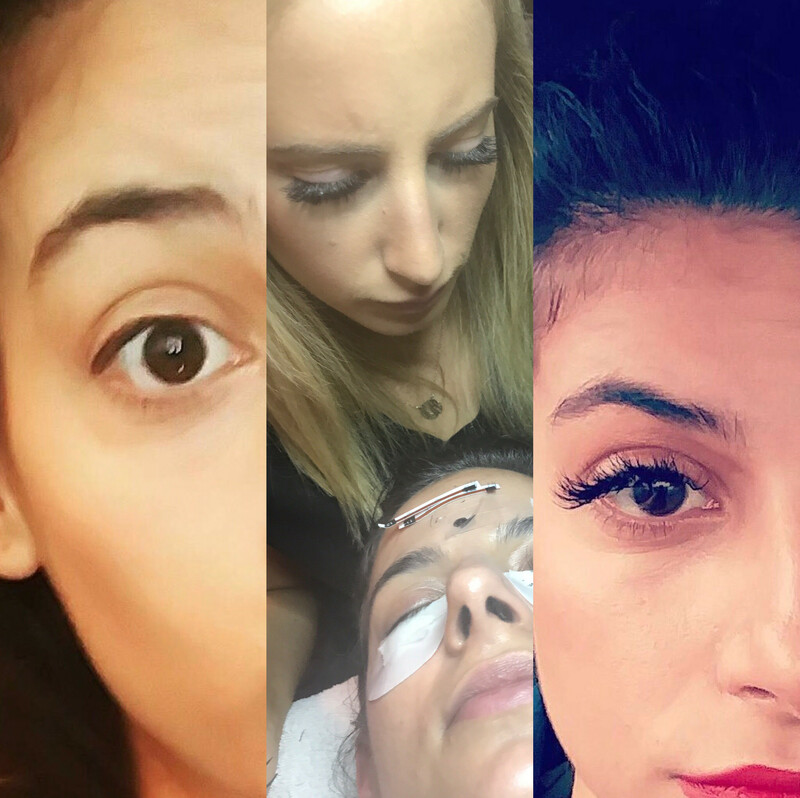 Eyelash extensions are beautiful, and will accent your eyes. Please plan this service a couple days ahead of your special occasion. Emphasize your brow and lashes by adding a hint of color to your lashes or brows.